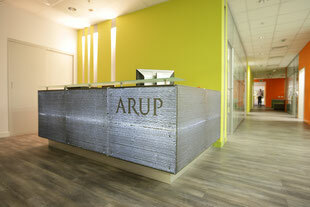 An indoor architectural highlight is the lighting of illuminated light transmitting concrete. 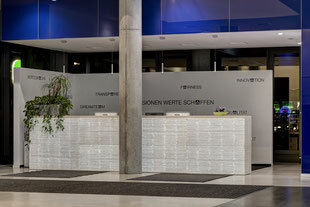 Deka Immobilien has also recognized this and set the reception bar of a company building in Frankfurt with LUCEM light transmitting concrete. For the head office of an international working company in Hamburg a preferably monolithic appearing LUCEM desk was designed and realised. The 4.8 m long desk covered with LUCEM light transmitting concrete on 3 sides is topped by a continous countertop made of mineral composite. 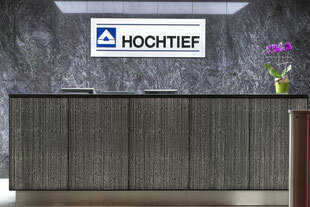 LUCEM delivered a customized reception desk for the corporate headquarters of HOCHTIEF in Essen. Details as bevel cuts into the front panels and a 30mm strong concrete top panel perfect the highlight. 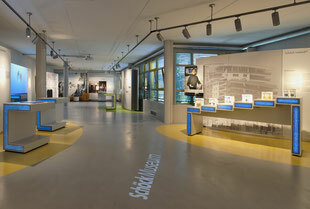 The Schöck group, one of Europe's leading manufactuers of innovative building materials, used LUCEM light transmitting concrete to add a very special feature to the showcases of their factory museum in Baden-Baden launched to celebrate their 50 years on the market place. Near to the Red Square in Moscow you will find the trendy bar "Sinizy" - a perfect place to install the first LUCEM panels in Russia. Modern sound and lighting systems with synchronized control create an unique atmosphere. At children‘s eye-level, a brightly illuminated reception was designed, consisting of segments on the one hand, appearing monolithic altogether on the other hand. A conference table made of LUCEM Light Transmitting Concrete. 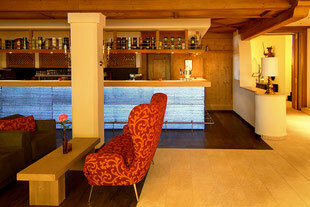 For the elegant restaurant La Becasse a LUCEM vanity top was designed and implemented as acting highlight. LUCEM light transmitting concrete opens up innovative design possibilities for extraordinary wall coverings, floor coverings as well as furniture such as wash table tops. 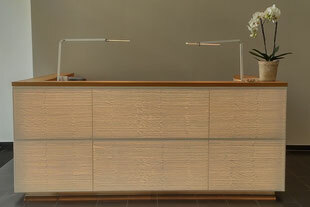 Elegant lamp cubes or light columns allow individual and special lighting elements.